Stage 1 (2 weeks: 3 whey protein shakes a day and 1 meal consisting of protein and some veggies. No caffeine, no alcohol (ouch!. Stage 2 (2 weeks: 3 meals a day consisting mainly of meat. Limited veggies, no dairy. Stage 3 (2 weeks: Maintenance mode your standard low-to-moderate carb diet. Mark Sisson makes an appearance in their book, although Im not completely sure why. The Eades recommend an abdominal exercise called Laplace. After describing it’s execution they show a shirtless photo of Mark and tell us that he achieved his current physique through no other abdominal exercise than this one. Of course, not only was Mark Sisson never overweight but he also didn’t come to look the way he does by virtue of some funky sucking-in exercise but whatever. I am not yet middle aged (I checked! and I also don’t have a lot of visceral fat so I may not be the target audience for this diet. Even though I am already at a good weight for my height I still wouldn’t mind leaning out a little. In less than 2 weeks, Ive lost nearly 5lbs of scale weight. I took into account an initial drop in water weight, so as far as I can tell thats real poundage. So, yes, this diet ‘works’. But just to be clear, theres nothing magical going on. Switching things up can help when you’re at a plateau, but there’s definitely some plain old calorie restriction going on here. Also, in an effort to stay compliant with this temporary plan, my eating behavior has changed in that I haven’t been eating out, snacking, drinking, or partaking in small indulgences that I might not resist otherwise. 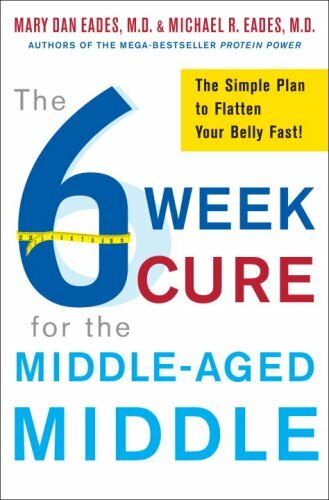 If you are interested in losing fat and are at a standstill, you might give the 6-week cure a shot. Ive also learned a few things, such as that I can survive without fruit and sugar in all of its forms (at least for a while, and that it might not be so bad to try intermittent fasting again at some point (hated it. Once these shake weeks are over after Wednesday, Ill be back to posting recipes. After the two meat weeks, Ill look forward to resuming my usual primal eating style – in Costa Rica! Can you share your ingredients and recipes for the shakes? I’m considering doing something similar very soon. Shannon, the amount of protein in the shakes varies with body weight. If you are over 130 but under 180, you use 2 scoops per shake. Then add 2tbs fat (heavy whipping cream or coconut milk) and some ice & water. Although these are the only required ingredients the book has a variety of shake recipes and gets more detailed in terms of whether to add an egg, oil, etc. They also highly recommend vitamin and mineral supplements and some others that support liver function. There’s a list of them in the book. Potassium is especially recommended as it is vital for muscle function (think heart!). If you decide to do your own thing you might take a trip to the library and look at what they recommend in terms of supplementation. I’m interested in which protein powder you use. I’ve tried several brands, but am not able to stomach them. Have you found one that actually tastes ok? I usually buy the “100% Whey Protein” in the red packages at GNC. 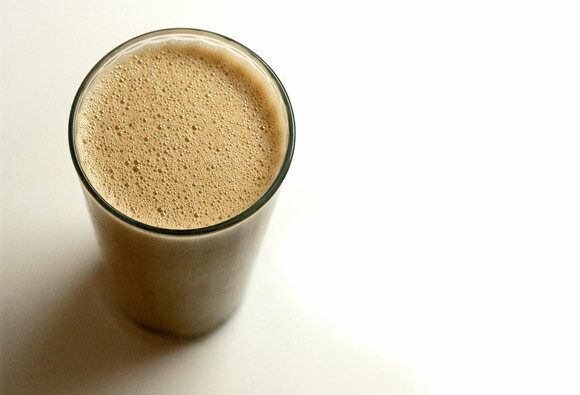 Strictly speaking, the diet calls for a protein powder that is less than 3g per scoop. The chocolate-caramel flavor is 4g per scoop but is by far the best tasting, IMO. You might be pleasantly surprised. Blend 2 scoops with a 1 cup of decaf coffee, a half tsp of rum extract, 2tbsp of heavy whipping cream and a whole lot of ice. Also good is the banana protein powder with coconut milk and coconut extract. I just finished my 4th week. I feel really great and down 10lbs and none of that is water weight. I’m pumped! Wow – 10lbs! That is very impressive. I lost 6 lbs in the first 2.5 weeks (not including about 2 lbs of initial water weight). Then things started to fall apart during the meat weeks. I didn’t plan this phase as well as I should have. I like the fool-proof nature of the Cure in that you can follow this plan and guarantee you’ll drop fat. I also liked taking a mental break from meal planning, etc.. Sometimes you just need a boost, or you hit a plateau, and this works. On the down-side I wasn’t feeling optimal. I didn’t really feel like lifting and wasn’t feeling like I do when I’m eating well and getting good workouts in. Despite the supplements I could feel that my body was lacking in nutrients. In the end, I think I probably will give this another go at some point, especially if I am feeling ready to take a break from working out for a few weeks anyway. Grok – I’m going to go check out your updates now! Weighed today after a big Thanksgiving week though and it says I’m back up 8. This is false, because I didn’t even eat enough calories to gain 8 even if my RMR didn’t burn one calorie. I figured I had fasted off the water weight, but I guess not. I potentially could have gained a few pounds.